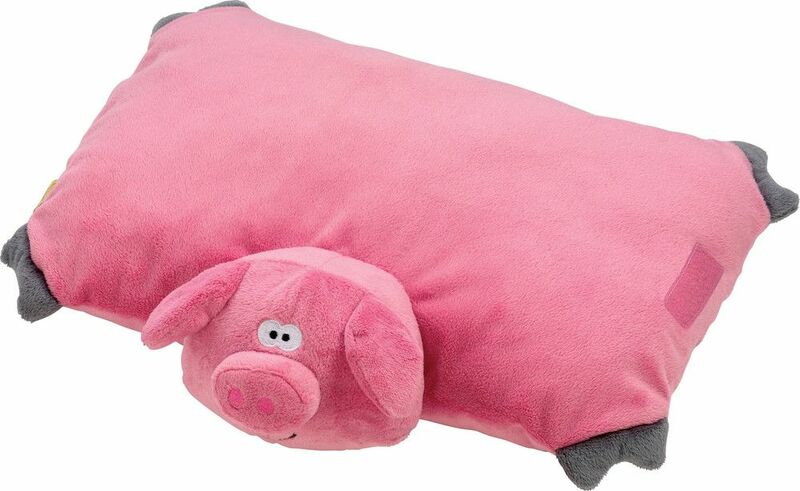 This super soft piggy folding pillow transforms into a cuddly toy in seconds. 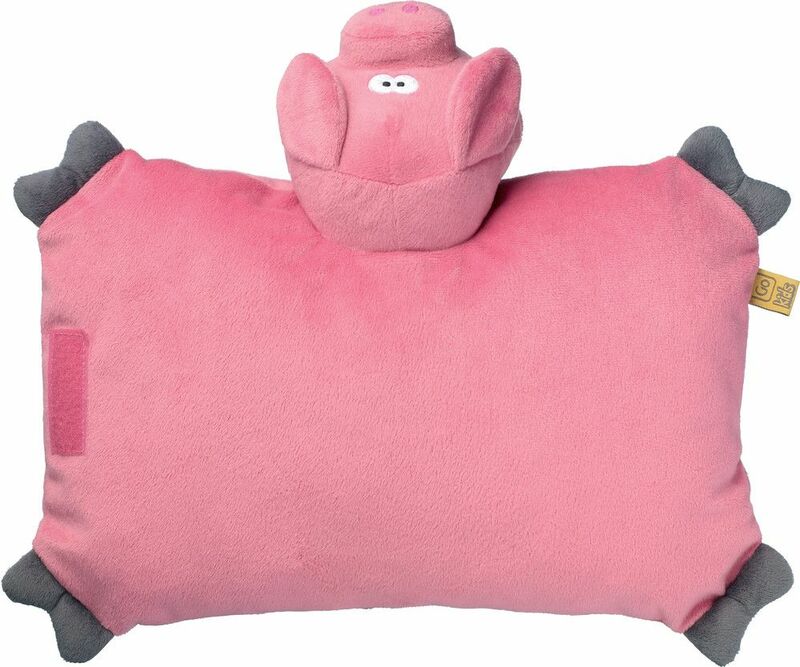 Foam filled and fleecy, it can be used to support a child's head while they sleep. 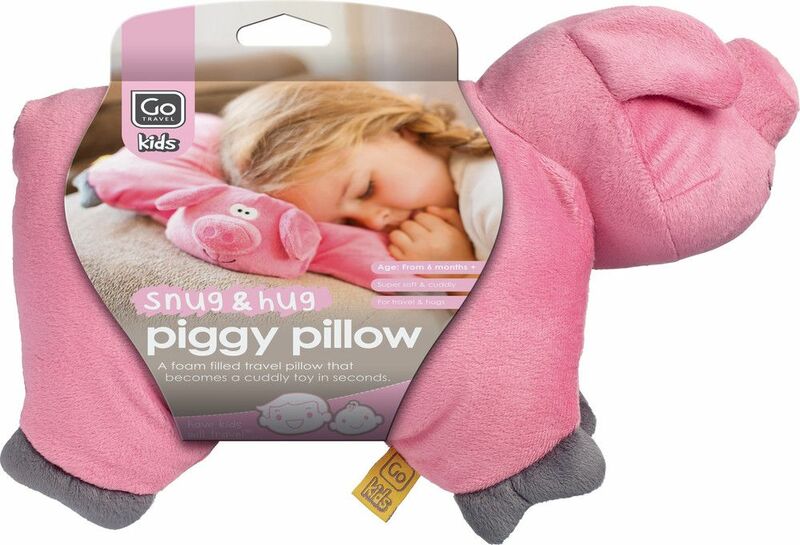 Alternatively, its cheeky good looks provide hours of fun and entertainment for little ones on long journeys. 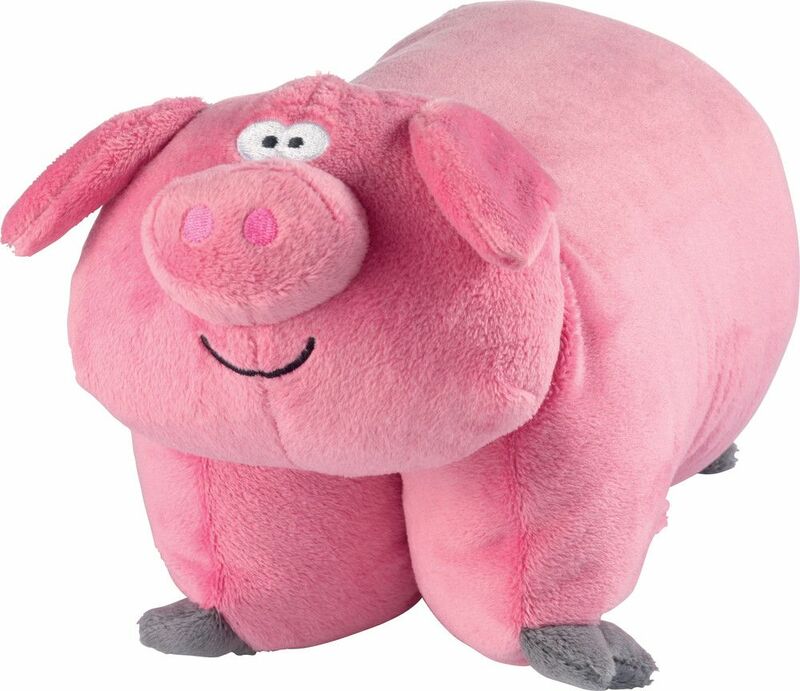 What's more, this fun character pillow is 100% machine washable for easy cleaning.